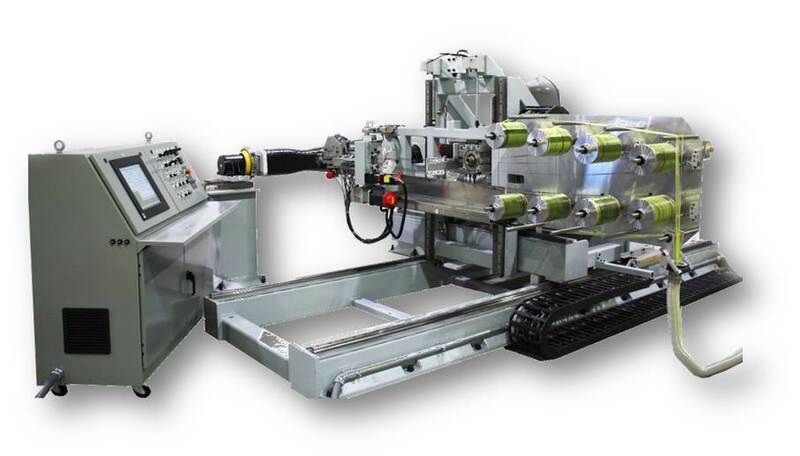 Automated Fiber Placement (AFP) involves placing multiple ends of fiber tow (bundle), typically resin impregnated, onto any number of surfaces whether flat, highly contoured, or everything in between. AFP is often used over ATL (Automated Tape Laying) when part curvature is extreme, ply width must vary, and/or ply starts or stops requires varying cut angles. The need for fiber steering (changing ply direction during a ply course) is another reason for choosing AFP over ATL. 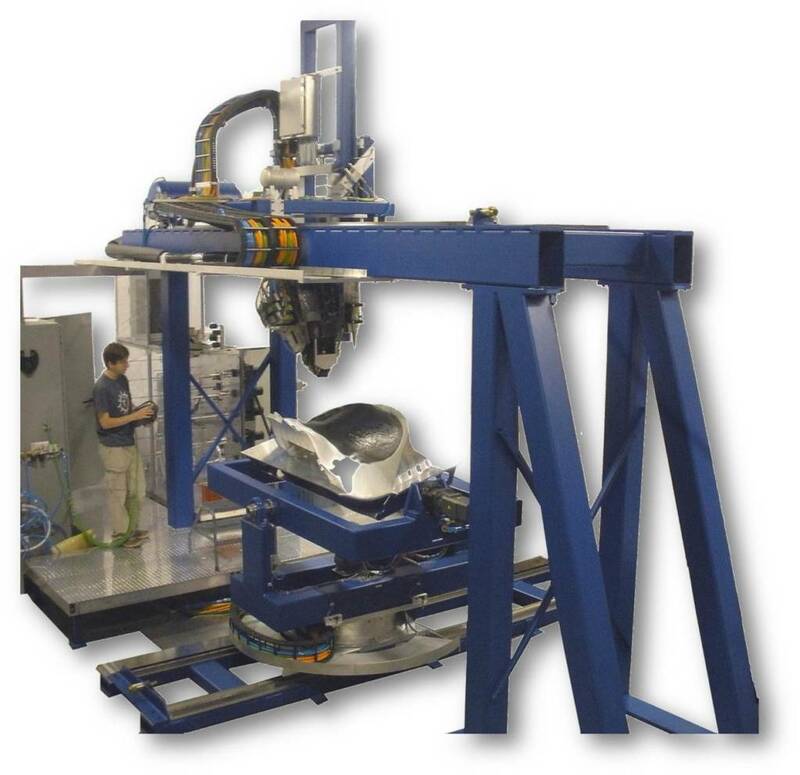 AFP typically uses fiber tow in 1/2in 1/4in or 1/8in widths. Accudyne tends to use gantry-style systems rather than robotic systems for delivering the fiber to the part. 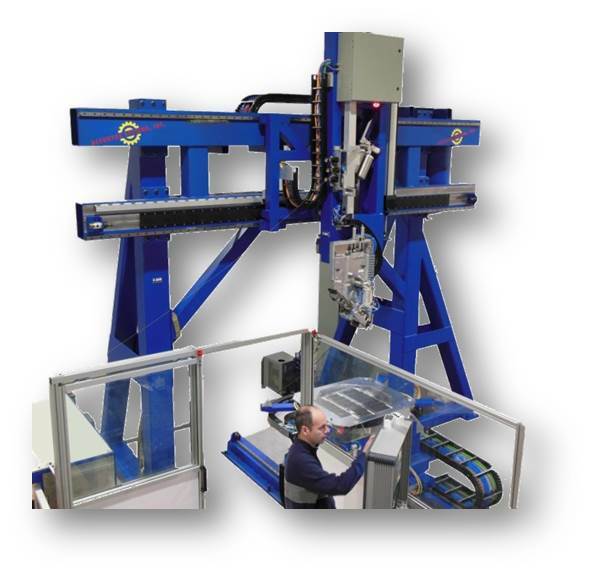 The very rigid, overhead structure when combined with linear motors enables the fiber placement head to respond to machine commands very quickly while providing very tight machine positioning. 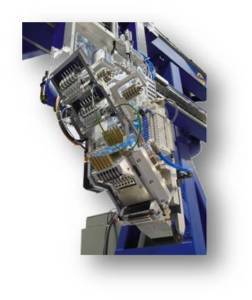 Accudyne has built AFP machines for processing both thermosets and thermoplastic resin systems.